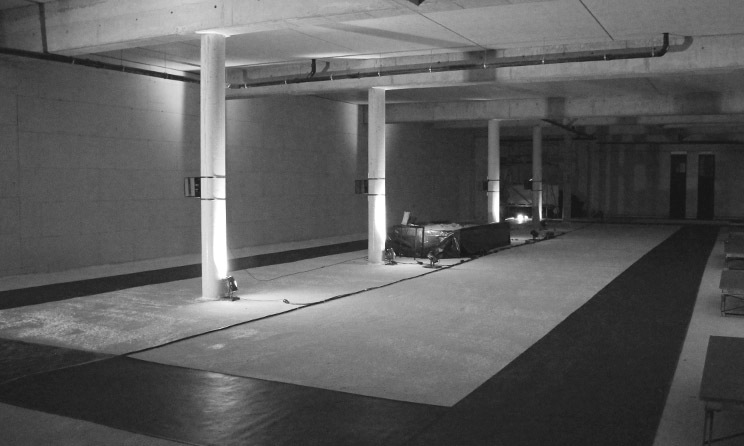 Sound installation and performance in newly built but unused shopping space – part of a large-scale urban redevelopment project in Neerpelt, Belgium. The project aimed to make audible vacancy and expose underlying urban problematics by amplifying everyday sounds and vibrations extracted from the building’s infrastructure (the structure and technical installations). In collaboration with Donia Jourabchi – developed during one-month residency. Technical support by Remco van Hoften. Presented at Co-Art Festival Samhain, Neerpelt, Belgium, November 2014; commissioned by Musica, curator Gilles Helsen. Full project included a workshop field recording ‘Horen met Andere Oren’ for local children.